London, where his audience was mainly composed of young people. learned from his father and fellow fishermen from all around the coast. A special church service celebrating his life was held in the village church back in 2008 when a blue plaque was installed on the wall of a cottage that was home for part of his life. ports from Scotland down to Cornwall. in 1959 for his BBC Radio Ballads series, broadcast in 1960. His interest was sparked after BBC producer Philip Donnellan got Sam to take part in two shows for a series of radio documentaries about working people. still remembered fondly in the village. 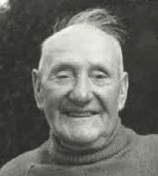 The 50th anniversary of his death was marked in September last year with a festival in the village that attracted top names from the folk music scene, including Peggy Seeger, who was involved in the 1959 radio recording and sang Sam's praises in its wake. 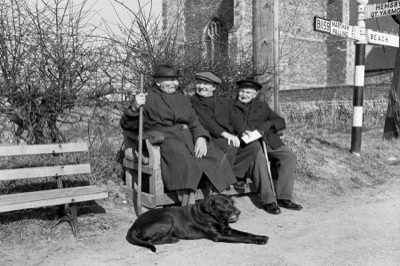 WINTERTON is the birthplace of one of Britain's most influential folk singers. 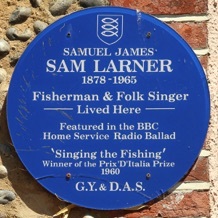 Herring fisherman Sam Larner was only discovered when he was in his 80s, but his music career started at the tender age of nine, when he would sing for coach parties that stopped for a break in the village.